The Parrot Bush is a shrub or tree species that belongs to the genus, Banksia. This plant is found throughout south-west Western Australia. 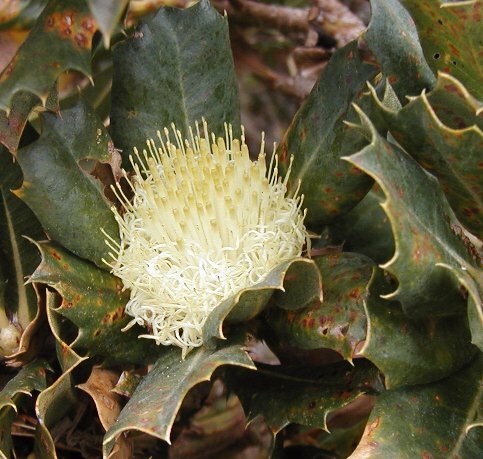 It was first collected in 1801 at King George Sound, and was described 9 years later by Robert Brown as Dryandra floribunda. Joseph Knight had actually published the flower as Josephia sessils in 1809, so when a specific name was formalised in 1924, Knight’s name took precedence. There are 4 varieties currently recognised, however none have a horticultural potential. In fact, none of the varieties are commonly seen as a cultivated plant. However, it is valuable to the bee-keeping industry as it produces a lot of nectar. As mentioned above, the Parrot Bush is commonly found throughout the south-western region of Western Australia. It is found on sandy soils over limestone or laterite, usually as an understory plant in open forests, shrubland, or woodland. 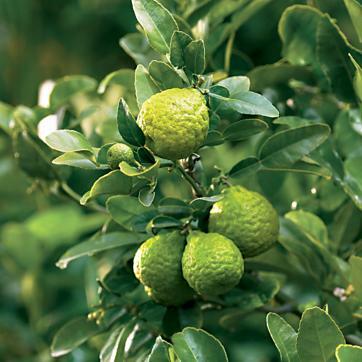 This plant grows either as a small tree or upright shrub up to 6 metres tall, without a lignotuber. Mos varieties have new stems that are covered in soft, fine hair. However, these hairs are lost with maturity. Their leaves are dark green or blue-green and prickly. Their leaf size ranges from 2 to 6 cm long, and less than 4 cm in width. 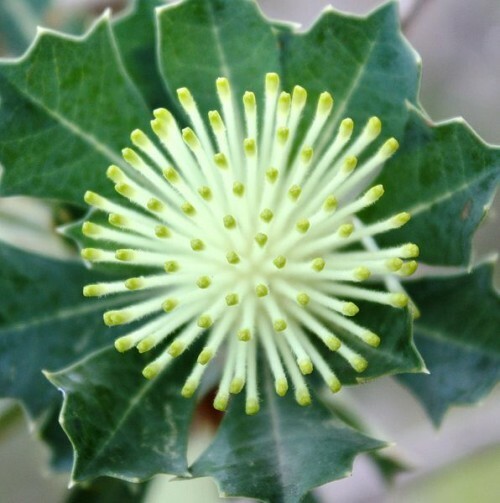 The Parrot Bush’s flowerheads / inflorescences are dome-shaped and are cream or yellow. These domes are about 4 to 5 cm wide, and each head contains between 55 to 125 flowers that are surrounded at the base by a whorl of short bracts. Flowering will take place between July to November, however some variations of Parrot Bushes can start blooming as early as May. After flowers have bloomed, the flower parts will wither and fall away. Up to 4 follicles will then develop in the receptacle, which is at the base of the flowerhead. These young follicles are covered in fine fur, but this fur is lost as it matures. Mature follicles are oval in shape, and measure about 1-1.5 cm long. 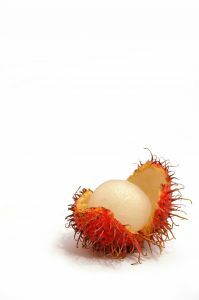 Most follicles will open up as soon as they are ripe, revealing a woody seed separator and up to 2 winged seeds. As the Parrot Bush flowers throughout the winter to the late spring, and therefore are an excellent source of food due to both the nectar and the insects it attracts. It is especially a key food source for honeyeaters during the cooler months. The European Honey Bee also seek out the nectar of the Parrot Bush, while the Australian Ringneck and the Long-billed Black Cockatoo will eat its seed. Like many native plants in Western Australia, the Parrot Bush is well adapted to regular bush fires. Although the plant will be killed by fire and regenerated by seeds afterwards, each shrub produces many flowerheads and therefore many seeds. It can then recolonise areas that have been disturbed by bush fires and can sometimes even grow in thickets.ts. What an unusually attractive masculine flower. Wish I could grow them in Canberra.